Pure class. 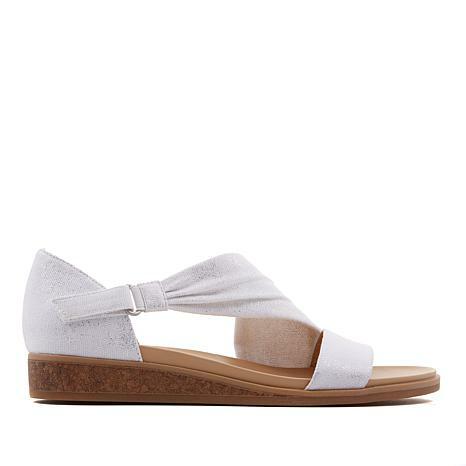 We're loving the look of this tailored sandal. The closed back makes it wear like a flat while still reflecting a summery style. 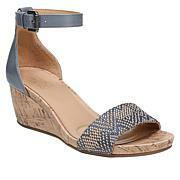 A softly pleated strap leads to an oval ring and self-gripping closure at the ankle for easy on/off. Perfectly appropriate wherever your social plans take you. Cute & comfortabe.Glad I bought two pair. Too bad they are selling out but let me say they are the most comfortable sandal I have ever owned hope you bring them back! I am totally impressed by the design and comfort of these shoes. However, my bunions aren't happy where the leather strap hits!!! I am upset to have to return these great shoes... they're very classy!! 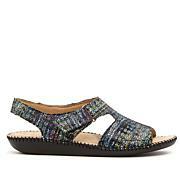 This Indie Tailored Sandal Is So Stylish.